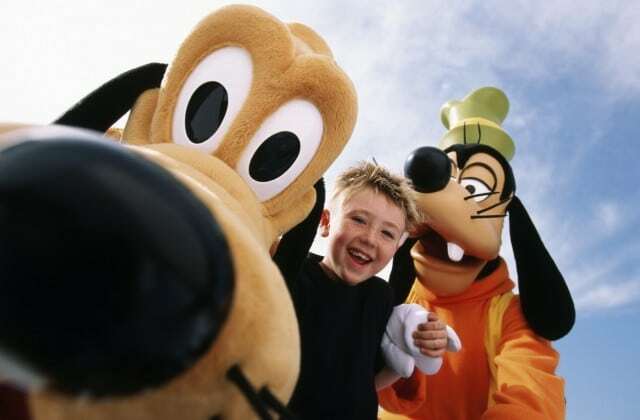 It doesn’t take long when you’re planning a trip to Orlando to come across information that mentions the benefits or the “perks” you receive when staying on-site at Disney World. While some benefits may provide varying levels of convenience, others can be the difference between being able to snag a coveted FastPass+ or Advanced Dining Reservation or not. 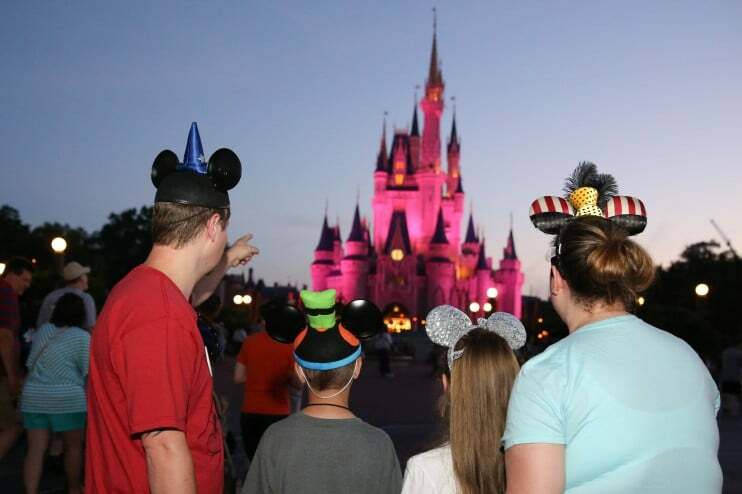 Since every trip is different, it is important to understand exactly what the benefits are so that you can determine if the on-site benefits offset the cost of staying on Disney property vs. staying off-site at a less expensive option. 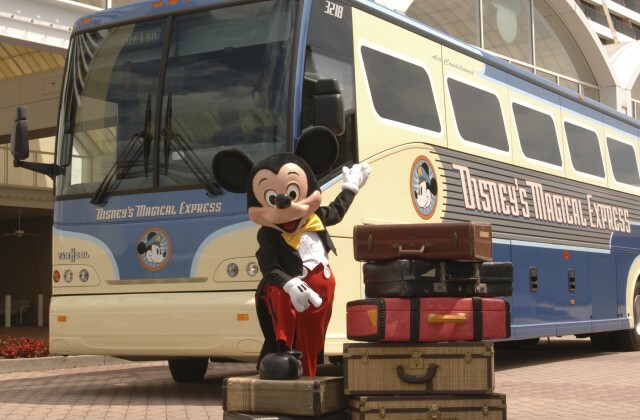 Disney offers a complimentary airport transfer service called Magical Express to all of its resort guests. Not only will Disney pick you up at the airport and drop you off at your resort, they’ll also retrieve your bags and deliver those to your room, as well. When it’s time to go home, you can check your bags at the resort and use Magical Express for your return to the airport. Value of this benefit: If you are traveling with small children, Magical Express can be a life saver at the end of a long day of travel since you don’t have to worry about waiting for your bags and then schlepping your suitcases (and children) through the airport to whatever ground transportation you’re using. It is also handy if you prefer to not drive or want to save money and not rent a car or car service. The downside to Magical Express is that, in some instances, it can take some time for your bus to depart the airport and it will take several hours for your bags to arrive in your room. MagicBands are colorful plastic bracelets (about the size of some fitness bands) that can be used as your ticket media to enter the parks, for your FastPass+ reservations and for PhotoPass. 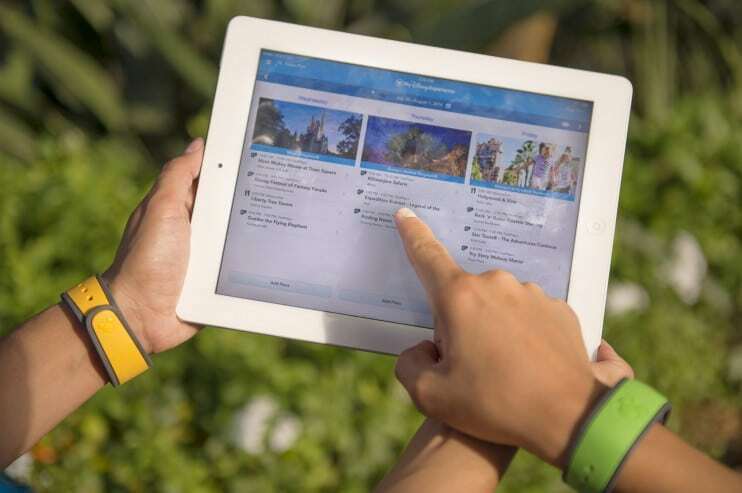 If staying on-site at Disney World, your MagicBand will also be used as your room key, to charge items back to your room and to redeem Disney Dining Plan credits (if you are using the Disney Dining Plan). Every person in your room can customize their bands by choosing the color and what name or word they’d like printed on the inside. If you booked a package, you'll also get a luggage tag that coordinates with the color of MagicBand you choose. 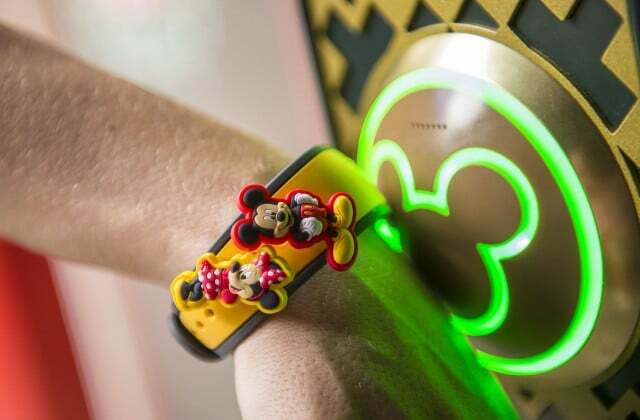 Value of this benefit: Since MagicBands aren’t mandatory to have fun at Disney World, the value of this perk is more one of convenience; no digging through bags to find your room key or your PhotoPass card – it's all right there on your wrist. 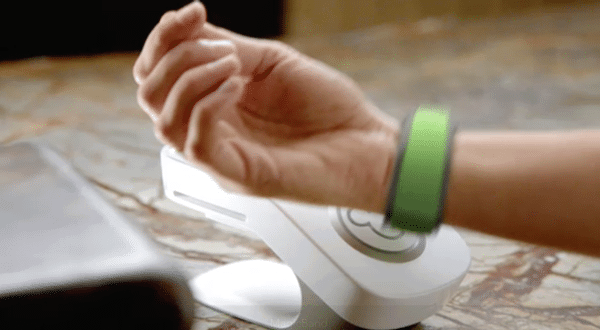 If you stay off-site and you plan to purchase Memory Maker, you should strongly consider purchasing some as there are aspects of Memory Maker that will only work with MagicBands. Off-site alternative: If you stay off-site, you can still get MagicBands if you prefer to use them versus a regular ticket, but you’ll pay $12.99 for each band and you won't be able to have a name or word printed on the inside (although there are locations on property where you can have your name printed on the outside). 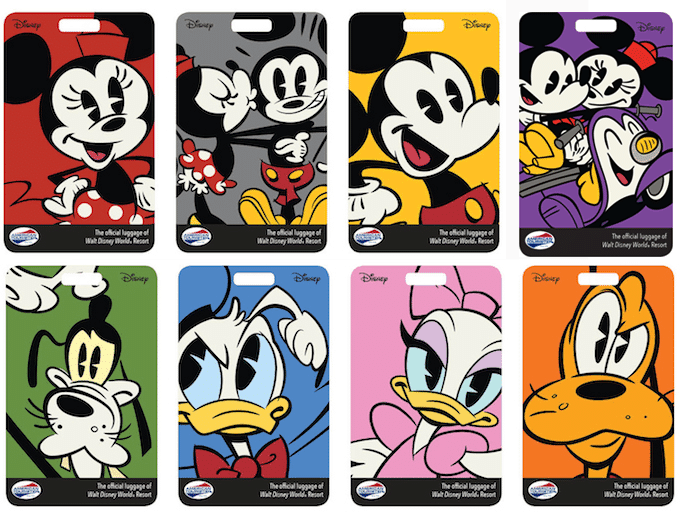 You can buy them in the online Disney Store or you can purchase them at most stores on property. If you are staying on-site at Disney World and decide to drive to the parks, parking is free. 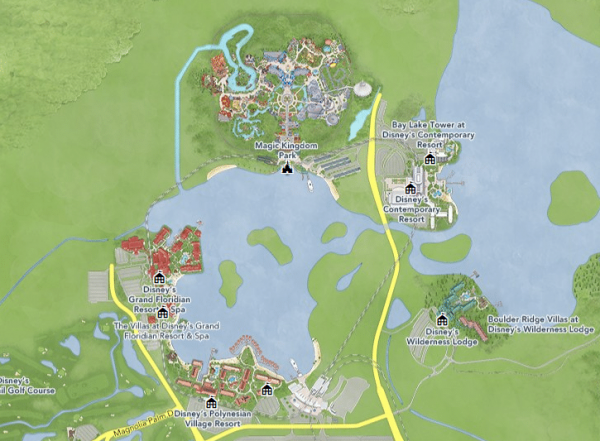 If you prefer to let Disney do the driving, depending on where you are coming from and where you are headed, you will have the option of using buses, watercraft or the monorail to get around. Value of this benefit: Obviously, saving $25/day for parking is a nice perk. In addition to the savings on parking, though, staying on-site and having access to Disney transportation to transport you from your resort to the parks has additional non-monetary value, such as making it easier for groups to split up without worrying about dropping members of their party off and picking them up. Off-site alternative: For off-site guests, you’ll pay $25/day to park at all 4 of the major parks (Magic Kingdom, Epcot, Animal Kingdom and Disney’s Hollywood Studios). Parking at Blizzard Beach, Typhoon Lagoon and self-parking at Disney Springs is free. If you have a meal scheduled at one of the resorts you can park there for free as well. 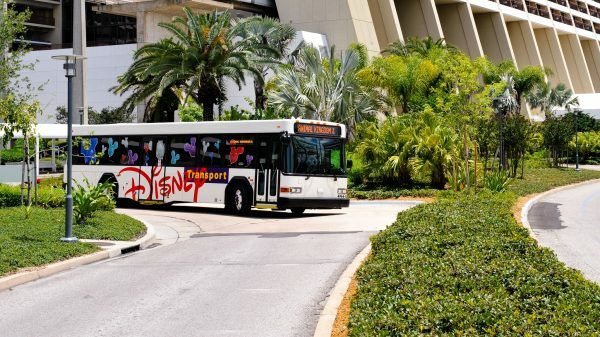 Off-site guests also have access to all of Disney’s transportation (buses, watercraft and monorail) for free once on property, so if you want to Park Hop, you’ll be able to do that without having to move your car from one park to another. 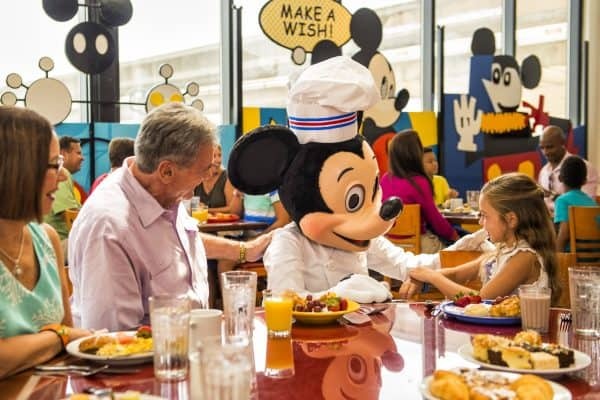 Guests staying at one of the Disney resorts are eligible to purchase the Disney Dining Plan. The Disney Dining Plan is a prepaid meal option that allows guests to purchase credits that they can then redeem for meals and snacks. The cost of the plan and the number of credits depend upon the Dining Plan purchased. Value of this benefit: For people that are looking for a vacation with that all-inclusive feel, staying on-site and using the Disney Dining Plan is the only way to accomplish that. 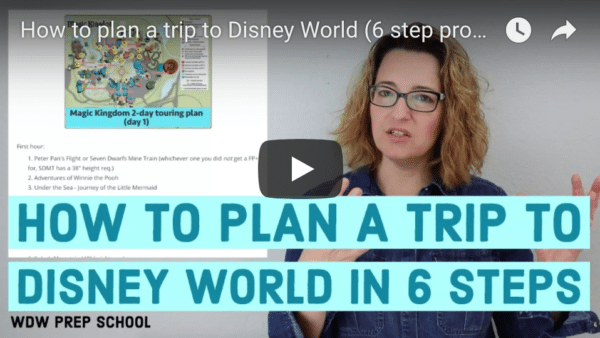 The Dining Plan may save you some money (if you maximize your credits) but many guests will tell you the real value comes from knowing most of the major expenses for their trip are paid for ahead of time. Extra Magic Hours are bonus hours where a park opens either 1 hour early or stays open 2 hours later. Only on-site guests are eligible to attend Extra Magic Hours. Value of this benefit: Although on the surface Extra Magic Hours may seem like a great deal, the park hosting the Extra Magic Hours are generally the most crowded for the day and are, in most cases, not recommended by WDW Prep School. An exception to this would be if you attended the Morning Extra Hours in one park and then hopped to a different park when the crowds picked up. Off-site alternative: None. Since charges are going towards an account associated with your resort room and not immediately to your credit card, even if you purchase a MagicBand or bring one from a previous trip, etc., it will not work. Only on-site guests have this perk. If you plan on doing a lot of shopping, the thought of hauling your purchases around the parks may not sound like fun. 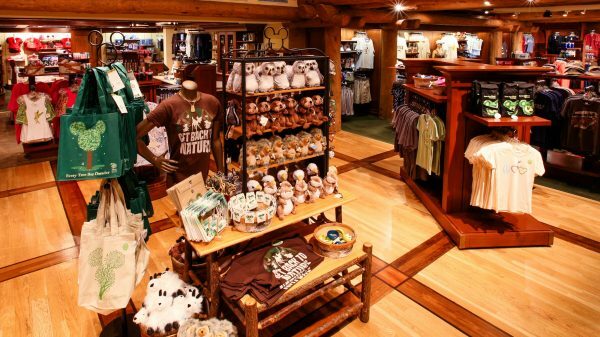 For resort guests, Disney has an option to have purchases delivered back to your resort gift shop where you can retrieve them the following day. Off-site alternative: While not as convenient as having your packages delivered to your resort, both on-site and off-site guests can take advantage of Package Pick up in the parks, which is where your packages are delivered to a designated pick up area at the front of the parks (Epcot has a second location at the International Gateway) so that you can retrieve them after your visit that day. Another option for both on-site and off-site guests is Home Delivery, which is exactly what it sounds like - having your purchases shipped home (for a fee). If you utilize any of these 3 service you will need to let the cashier know before they ring you up. One of the biggest perks to staying on-site is the ability to make FastPass+ reservations for your entire trip at 60 days out. Value of this benefit: Some FastPass+ reservations, like Flights of Passage, Seven Dwarfs Mine Train and Frozen Ever After, go very, very quickly and are simply not available at the 30 day mark. If you want to avoid the standby line for that meet and greet, then staying on-site and booking your FastPass+ reservations 60 days out might be your only option during the busiest times of the year. Outside of the new attractions in Pandora, Frozen Ever After and Seven Dwarfs Mine Train, most other FastPass + reservations can be secured at 30 days out. Off-site alternative: Guests staying off-site make their FastPass+ reservations at 30 days out, 1 day at a time, for each day of their trip. All guests visiting the Walt Disney Resort can make dining reservations at 180 days out. 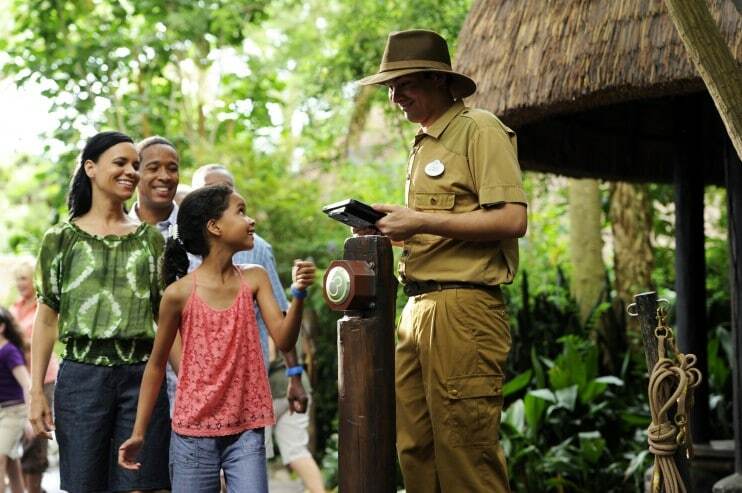 Guests staying on-site, however, have the advantage of being able to make reservations at 180 days plus 10 additional days, which, for a lot of guests, will cover their entire trip. Value of this benefit: Since on-site guests are making reservations 180+10 days into the future, some of the most popular reservations, like dinner at Be Our Guest or the Chef’s Table at Victoria and Albert's will not be available at 180 days since guests that are on-site have a 10 day head start due to this benefit. Off-site alternative: Guests staying off-site make their dining reservations 1 day at a time, 180 days out from the day they'd like their reservations, for each day of their trip. Many Disney World fans refer to the idea of staying on property as being inside the "Disney bubble.” It means immersing yourself in all things Disney, from staying on-site to dining on-site to playing on-site. Value of this benefit: It depends on what your expectations are for your trip. Do you want to immerse yourself in all things Disney and Disney World, or do you just want to go to the parks and relax at a resort off-site? Do you want to step off your plane, onto Magical Express and never get behind the wheel of a car during your vacation, or do you prefer to drive yourself around? The value of being in the Disney bubble is different for everybody and may even change from trip to trip. Off-site alternative: You are either in the Disney bubble or off-property, however, there are many lovely off-site resorts, hotels and private villa rentals that can provide a fabulous "less Disney” experience, especially if the idea of being on Disney property 24/7 sounds overwhelming for you. Just like in real estate, many people feel like one of the best parts of staying on-site at Disney World is location, location, location. Depending on which resort you choose you may find yourself able to walk to a Disney park - something you can't do if you stay offsite. 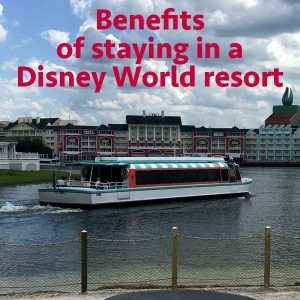 Value of this benefit: Many families with little ones find the convenience of being able to walk or hop a boat (or bus or monorail) to their favorite park worth the extra cost associated with staying at a Disney resort. If you know you're going to spend most of your trip in the Magic Kingdom, for example, staying at one of the resorts located on the monorail makes a lot of sense. Off-site alternative: There are several hotels, including some in Disney Springs, that even though not as close as staying on the monorail, are still convenient. If you do stay offsite, though, you should definitely plan on having a car (so factor that into your cost) since the shuttles often advertised run on inconvenient schedules that may impact your touring plans. Have other thoughts or questions about staying on-site at Disney World? Feel free to chime in with your comment. We always stay on the resort property and have never considered staying anywhere else. A major factor is the transportation. Since we fly, it’s nice to have them pick our luggage up for us and deliver it to our resort. Not to mention not having to rent a car. It’s nice to leave the driving to them. But the resorts offer amenities that you won’t find at off-site hotels. The pools always have activities for the kids (and adults if they choose). Whether it’s out of the pool, like hula hoop contests or in the pool (they gave the kids inflatable balls to toss around), there’s always something. Once, they had a tie dye shirt activity. You paid for the T-shirt and the kids could tie dye it. They started with doing the first tie to show the kids how it’s done. Then the kids were on their own, choosing which colors for which tied area. Then they tightly wrapped it in plastic wrap so it wouldn’t leak. After 24 hours, you unwrapped and rinsed it. We were SO surprised to see that the initial wrap done by the Disney cast member turned into a Mickey head! Made the best souvenir! Every resort, from Deluxe to Value offer the Movies Under the Stars every night, too. It’s a free thing to entertain the kids as they sit under the stars watching a Disney movie. They do nightly campfires, too, where the kids (and adults) roast marshmallows at the fire. There’s just so many activities for the kids that you don’t have to spend your entire time at the parks in order to be doing something. And one last thing, the pools! Disney has the greatest pools for kids. Starting at the moderate resort level, most all pools have slides. But even at the value level, the pools are really cool with things Mickey spouting water. Most have a kiddie water play area, too. Which coupons/deals are included in the booklet you receive when staying at a Disney Resort? do you know when be our guest restaurant will start accepting reservations for breakfast. we are going to be there on dec 7 2015 and staying on the ptoperty.